One art deco style 18 karat yellow gold with sterling silver pendant. 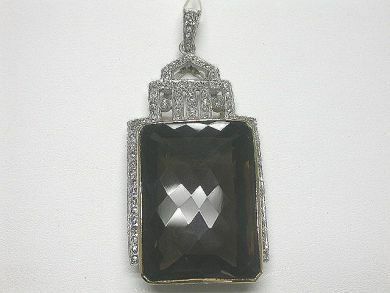 One Smokey Quartz (91.68 carats). 117 rose cut diamonds (1.19 carats: SI-I1 clarity: G-H colour).